Senior Center | Friends of the Longmont Senior Center, Inc. The Longmont Senior Program was founded in 1972 with funds from Title III of the Older American Act. Through City and HUD funds, a Senior Center facility was built in 1976 with additions added in 1981, 1987, 2001 and 2013. 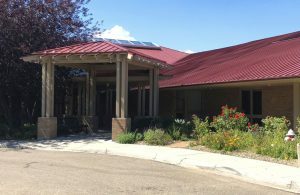 The Longmont Senior Center is owned and operated by the City of Longmont with the Senior Services Division housed there providing direct oversight. The Senior Center is a focal point for programs, activities, information and supportive services far adults 55+ and caregivers of older persons. Your guide to what’s happening and what services are available for older adults in the Longmont community.